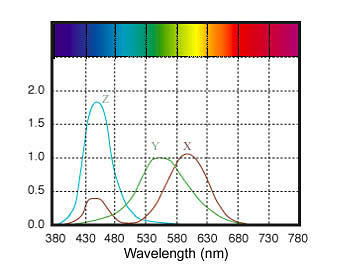 I know that white colour is perceived on excitation of red, blue and green cones simultaneously. It is also said that a colour blind person doesn't see a particular colour and just perceives it as a shade of grey. If their (for example all red) cones are affected, then how do they perceive white colour? Clarification: Will a person with defect in red cones perceive white colour when green and blue colour only fall on his retina? So, basically he will detect RBG and BG both as white. If not then how will he be able to differentiate? No not white or grey generally, it's a mix of other colors, they often have low resolution of a particular color. Evolutionary gene mechanisms have a particular knack of varying vitally important organs and functions, arm length, walking gait, hair type, color, and colorblindness is perhaps an expression of high variance to a survival critical and modular organ which animals have a high variance in depending on their habitat and survival requirements. Not the answer you're looking for? Browse other questions tagged physiology pathology vision human-eye or ask your own question. Why don't myopic people see the world upside-down?